BOSASO, Somalia – Gunmen believed to be ISIL-affiliated militants shot and killed two Somali University graduates in Bosaso, a coastal port town on the Gulf of Aden on Friday evening, Garowe Online reports. 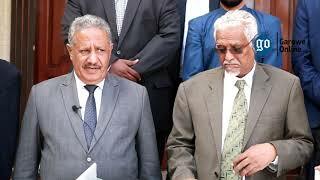 A witness confirmed to Garowe Online that Abdirisak Hassan Barre and Abdikarim Abdulkadir were gunned down by assailants armed with pistols near Haruse hotel who escaped from the scene on foot. 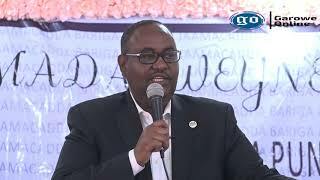 In the aftermath of the killings, Puntland state security forces cordoned off the scene and embarked on a manhunt aimed at establishing the circumstances around the tragic murder of the two educated men. No group claimed responsibility for the assassinations, the latest in series of attacks in Bosaso, the commercial city of Puntland, but, "suspicion falls on" Al-Shabab and an ISIL affiliate in Bari province. However, sources indicate that the uncle of one of the slain men, a wealthy local businessman named Abdiladif Yusuf Barre, resisted forceful taxation on his business that was reportedly imposed by ISIL. 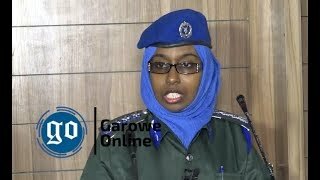 Garowe Online published last August an investigative article that shed light on how the pro-Islamic State faction based in Bari region collect taxation from the businesses in the seaside city to fund its insurgency. 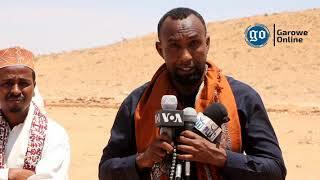 The security in Bosaso city has vividly deteriorated in the past few years amid weak government policy to counter growing terrorism in the region and lack of regular pay of the salaries to the security forces. In June 2017, scores of security force members were killed and many wounded after Al-Shabaab fighters stormed Af-Urur camp, about 100km west of Bossaso and subsequently killed soldiers at close range. The attack was the deadliest since Puntland inception 1998, highlighting the dual challenges facing security forces from the al-Qaeda-linked al-Shabab and the growing presence of the ISIL-linked group. 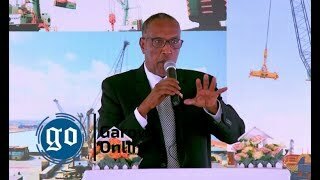 The surge in attacks comes as the state is heading to Parliamentary and Presidential elections next year and the incumbent president, Abdiweli Mohmed Ali Gaas who was blamed for huge corruption is seeking a re-election despite losing public support. Deni, who is a former Somalia's planning minister vowed the fight the terrorist groups.